ESA recently produced a nice cartoon summarising the Rosetta mission. The link here is to the English version, but other languages (French, German, Italian and Spanish) are also available. Several hundred people squeezed into a lecture theatre at the University of Bern on 30th September 2016 in order to witness the last moments of the Rosetta mission. Several scientists spoke about the aims and results of the mission, focussing on the ROSINA instrument, the development of which was led by the University of Bern. 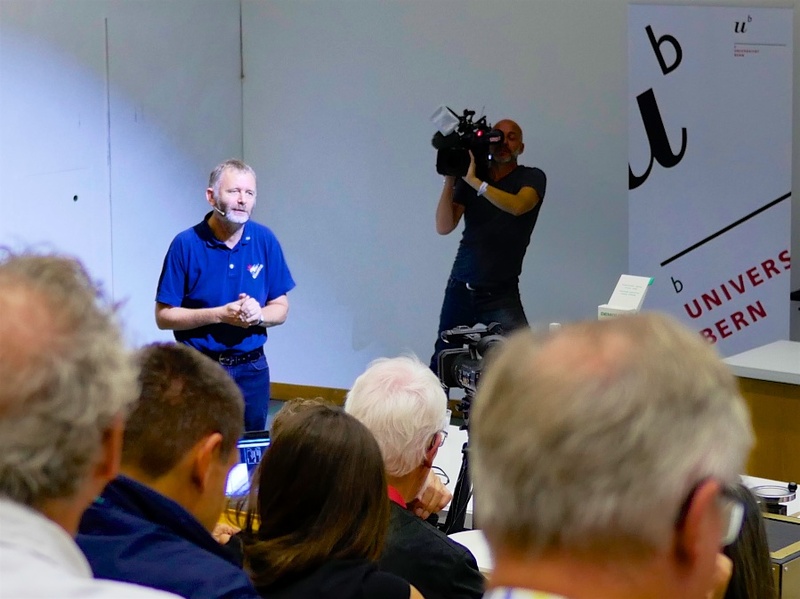 The image below shows Prof. Nicolas Thomas (also leader of the MiaRD project) explaining why comet 67P/Churyumov-Gerasimenko is a paradise for geologists, whilst being filmed for Swiss television.